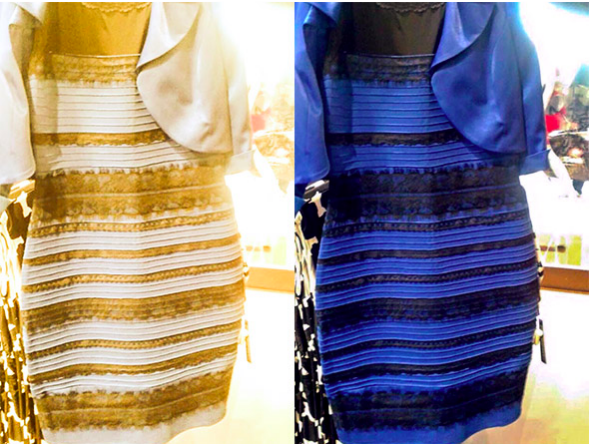 Salvation Army What color is the dress ad: Domestic violence PSA references white/gold-black/blue debate. An illustration demonstrating what each side of the dress debate is seeing. Given that the visually confusing picture of a black-blue/white-gold dress that momentarily captivated everyone in the world on Feb. 26 was arguably the most viral single story in the history of viral Internet stories, it’s not surprising that a group seeking online attention has rolled out a dress-related ad campaign. What maybe is surprising is which group has done it first: the Salvation Army, whose South African branch referenced the dress in a domestic violence PSA. The Salvation Army operates a number of shelters for battered women and children, two of which are in South Africa, and in addition to being posted on Twitter the ad ran in a Cape Town newspaper.